Hammer (Bronze, Oak and Sterling Silver) with sterling silver vessels raised using the handcrafted hammer. Sterling Silver whisky tumbler resting on a CNC milled smoked oak plinth. 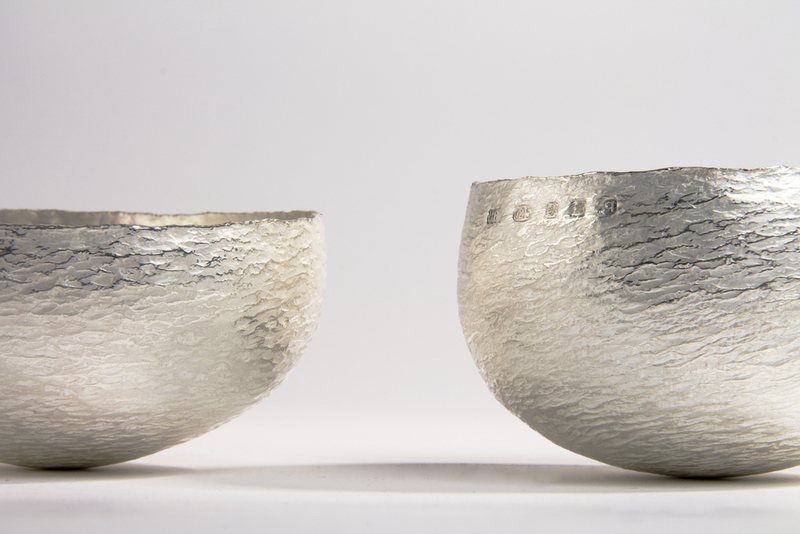 Sterling Silver whisky tumblers that have been textured using handcrafted bronze tools. 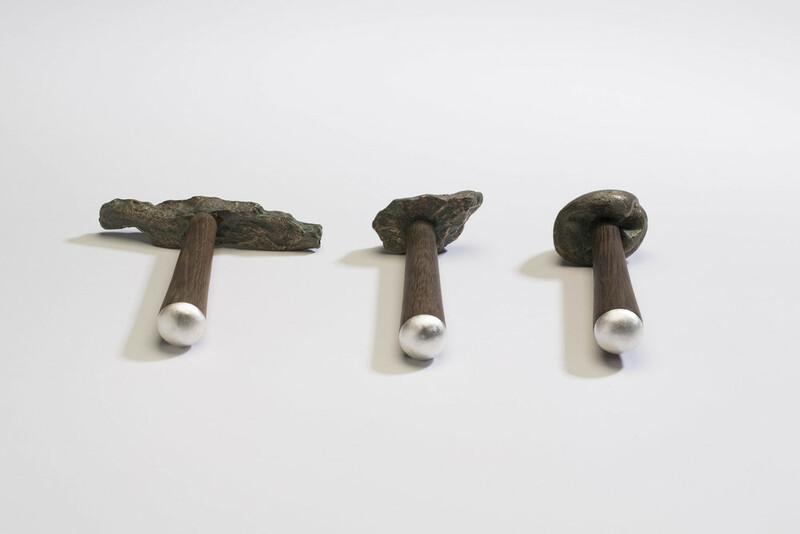 Smoked Oak, Bronze and Sterling Silver texturing hammers with laser engraved co-ordinates and location name of the source rock. Hammer (Bronze, Oak and Sterling Silver) with sterling silver vessel raised using the handcrafted hammer. Sterling Silver vessels that have been raised using my handcrafted bronze hammer. Sterling Silver vessel that have been raised using my handcrafted bronze hammer. Cast sterling silver rock brooch, polished, and oxidised.